Las Fotos Project is a community-based organization that inspires teenage girls through photography, mentorship and self-expression. This month, Las Fotos Project is featuring “A Woman’s Work,” a student photography showcase that explores the various occupations that women undertake by highlighting an eclectic mix of individuals at different stages in their careers and walks of life. From stay at-home mothers, teachers and street vendors to a piñata maker and a television producer for a major sports network, the photos invite the viewer to think about success, power and gender roles, and to be inspired by the complexities involved in women’s work. In this photo essay, the Las Fotos Project participants share their work and reflections on the women they photographed. This is Afara. 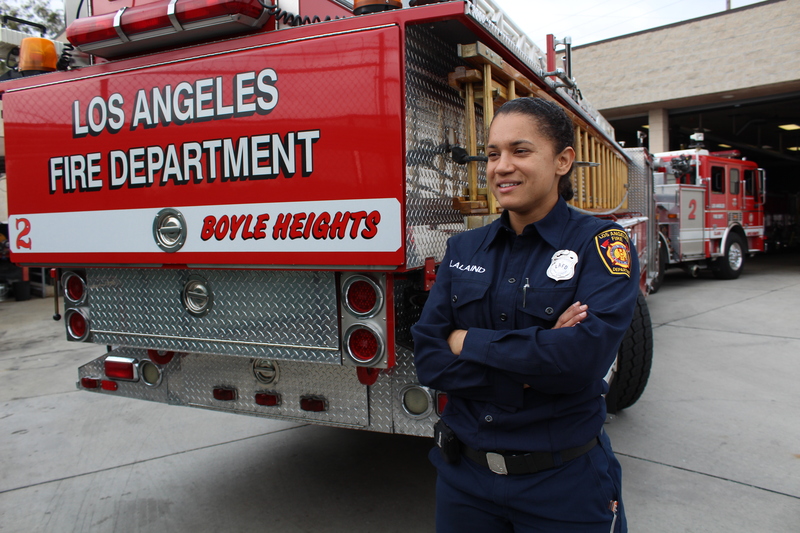 She’s the only woman in the firehouse. She’s a single mom and a very inspirational woman. She taught me to always follow my dreams and to never look back! Afara worked hard to get where she is and she is the reason why women are becoming stronger and more empowered. Every woman should not be afraid to go for it, just like Afara went out and chased her dreams. I decided to photograph Afara because she is a very encouraging woman and she reminds us to never give up, even when people think you can’t accomplish a goal because you are a woman. My mom runs a daycare and every day I see her wake up, get ready, drive the kids to school, cook, pickup the kids, cook more food, fold clothes, clean up, watch the kids play, get ready for the next day, sleep. Once she completes all these tasks, she wakes up the next day to do it all over again. The story I tell is important because it’s a reflection of my daily life. My mom is my role model. She has inspired me to pursue higher education and become the woman I want to be. Working at home is usually a thankless job, yet it fills me with pride and gratitude to see how hard my mom works. I want to become a resilient woman like her and make her really proud of me. 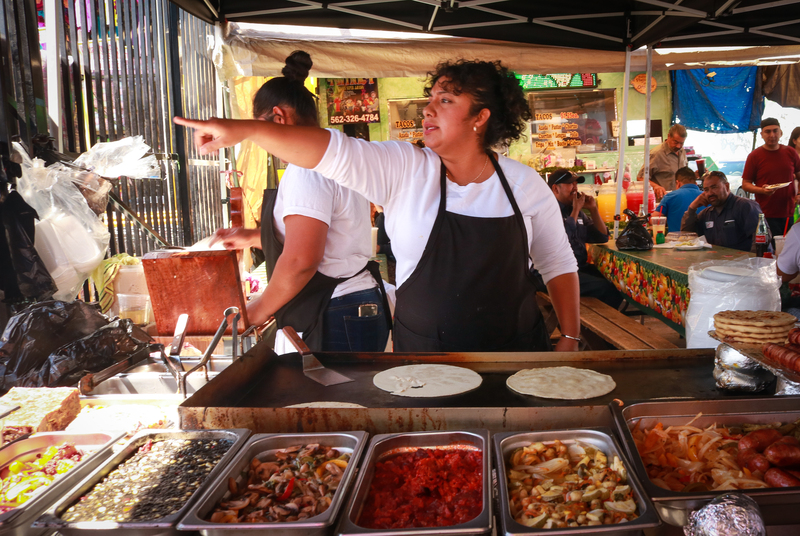 Mother and daughter, Amanda and Yessenia, cook pupusas together in Downtown Los Angeles’ Piñata District. Amanda, the mother, prides herself in having many friends in the market and is seen by others as the go-to person for any advice or direction. Jocelyn Ramirez is a special woman who is known in her community for advocating for health. She is the founder of Todo Verde, a plant-based superfood smoothie mobile space that encourages people to make healthier food choices. 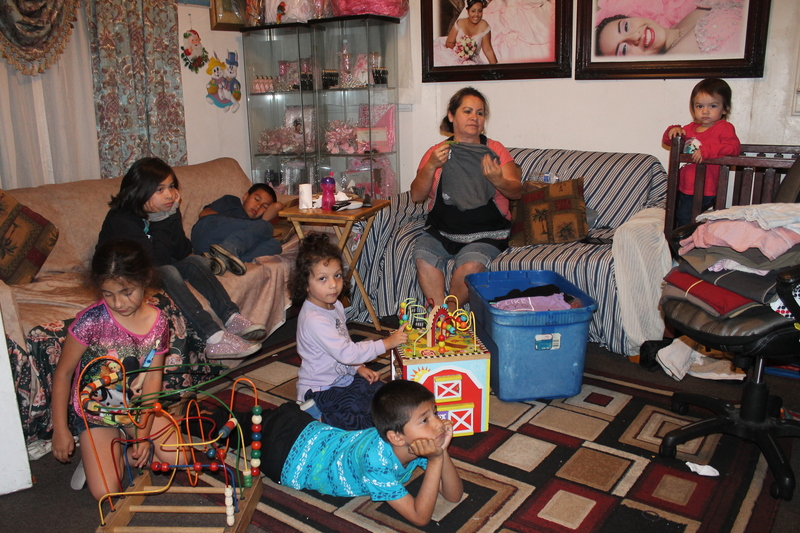 Although Jocelyn is not a mom, she cares a lot about her family’s health and they are the reason she created Todo Verde. 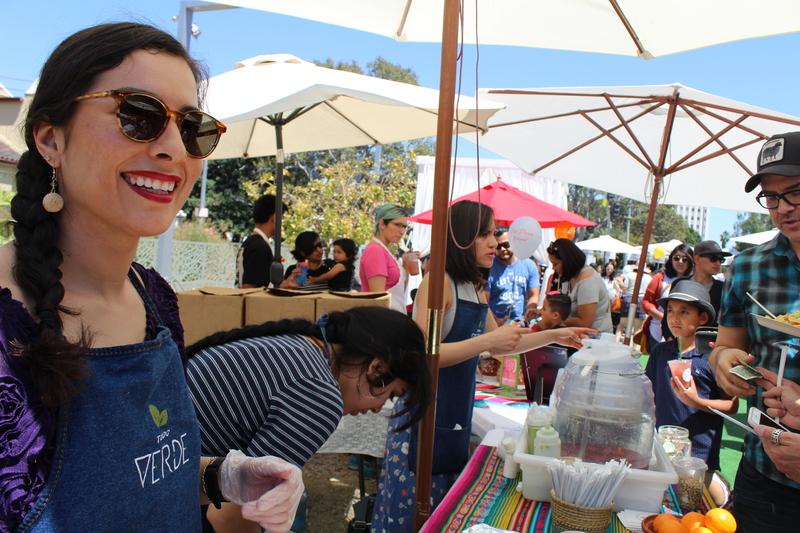 After finding out that her father was diagnosed with cancer for the second time, she dedicated herself to Todo Verde full-time. Processing her family’s health issues has made her stronger and she has become a role model in our community. Jocelyn has encouraged me and taught me that there are endless possibilities and opportunities from any sort of challenges that may have affected us. I have learned from Jocelyn that I can do great things for society and I just have to have that sort of faith. 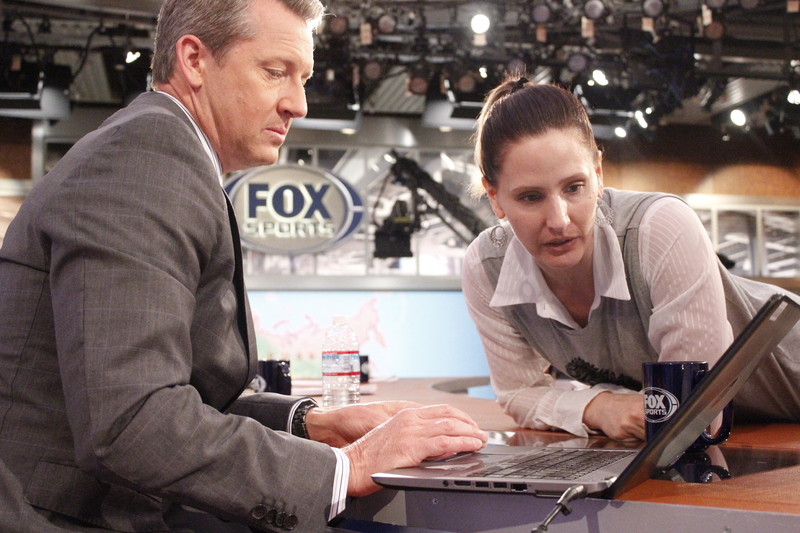 This semester I got the opportunity to photograph a Fox Sports television producer Jennifer Pransky. I had the chance to photograph her while she was in action and getting ready to film the Fox Sports News. I was thrilled to be able to see what it was like from going from one place to another and trying to get everything organized so the show can be perfect. These days that I was able to capture Jennifer were amazing. I was able to see different characteristics that built such a wonderful woman. Doris comes from Oaxaca, Mexico. She’s been selling fruit in Downtown Los Angeles for two years. Usually, she takes her daughter Darlene so she can support her during the weekends with the purpose of showing her how is working in real life. For Doris, besides a good education, she considers her work important. Those are the life mottos under which she has been raising her daughter. One of the reasons I decided to focus on this woman is that I wanted to show how her work has a great impact with her children and to show—we as a society—how to manage being a working mother. This semester my main focus was my tía Martha, who makes piñatas in her house. At first, my tía only made piñatas for our family, creating the piñatas for all of my parties. But then, my family spread the word to others that she could make piñatas and her business grew. 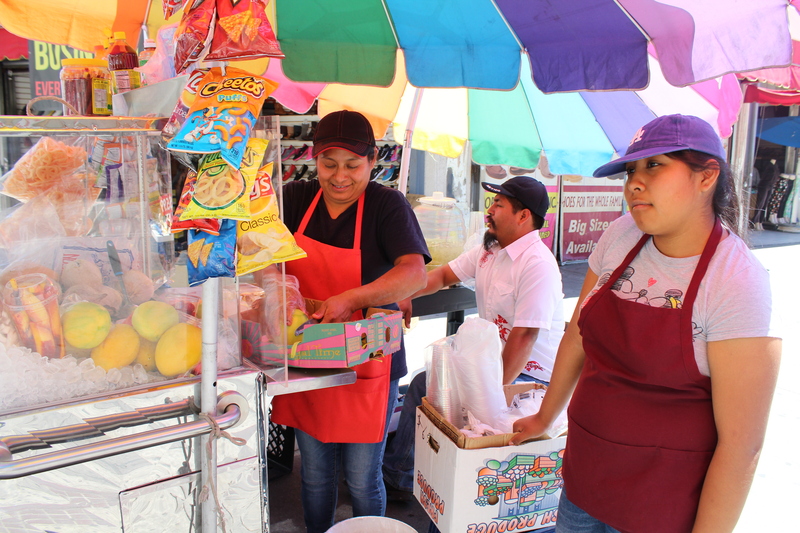 In addition to running her own business, my tía is a mother who still cares for two of her four daughters. 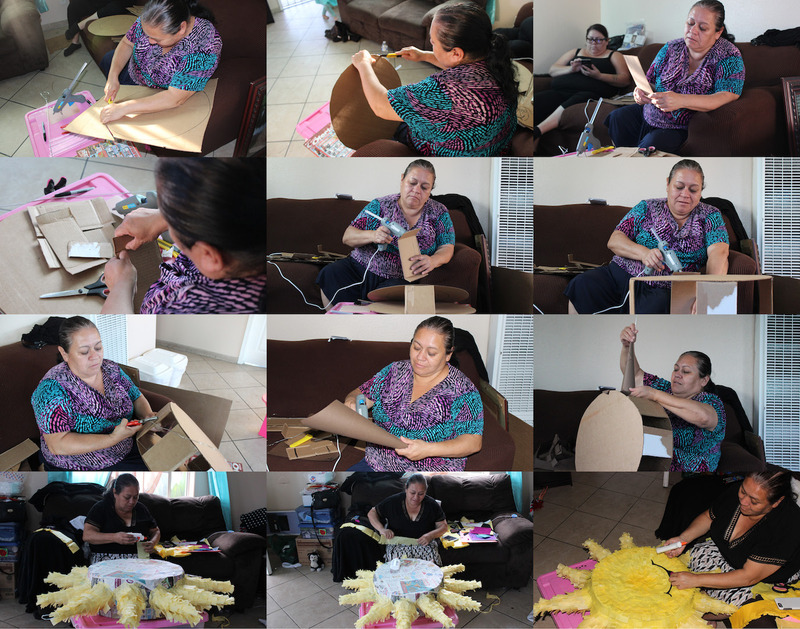 In my opinion, my tía Martha makes piñatas to earn money to not only ensure that her daughters have a roof over their head, but to make sure they have what they need. I think my tía is one of the hardest working women in my family. My mom drives my dad to work, then drops my sister and me off at school throughout the week. While my mom does not like to to show me how stressed or tired she is from this work, I captured her feelings with the camera. The camera has helped me connect more with my mom, and thanks to my mom, I learned to always work hard even I am feeling stressed out. After dropping off my dad at work, in addition to driving my sister and me to school, my mom spends most of the day cleaning and cooking for when we return home. She is the model of the hard-working person I look up to and I am thankful that she is guarding and leading me. 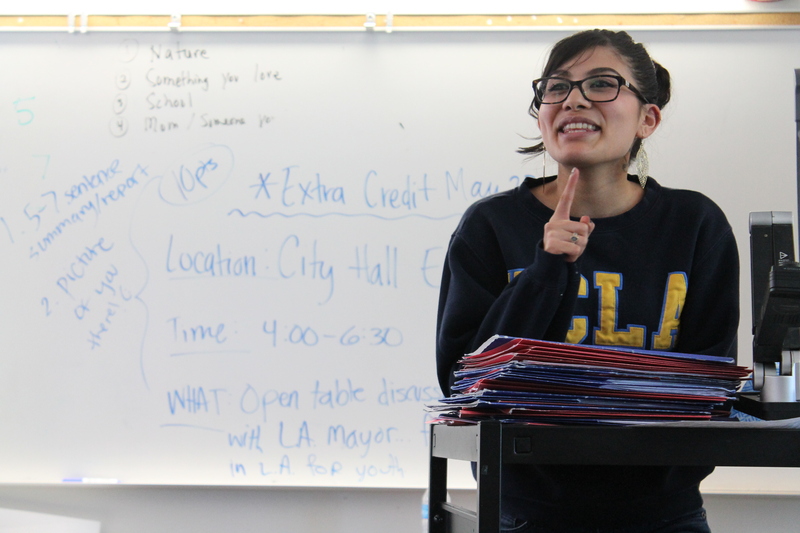 Angelica Heredia is a first-generation Stanford graduate and a first-year teacher at Mendez High School. At 24 years old, Angelica is an accomplished woman. She is someone who comprehends her students’ daily struggles and knows that balancing personal and academic or professional life is hard at times. She lives by the quote: “There is beauty in the struggle”—and that is reflected from within her classroom, which feels welcoming and powerful, with images of influential people of color and imagery that empowers those who set foot inside, alongside work by her students. Getting to coexist with her, I felt comfortable and knew that more than a teacher, she was someone I could relate to and confide in. I like these photos because some people get scared of the police, even though they are just trying to help the community and make it safe. I find it interesting that she is just so comfortable doing her job, as risky as it is. 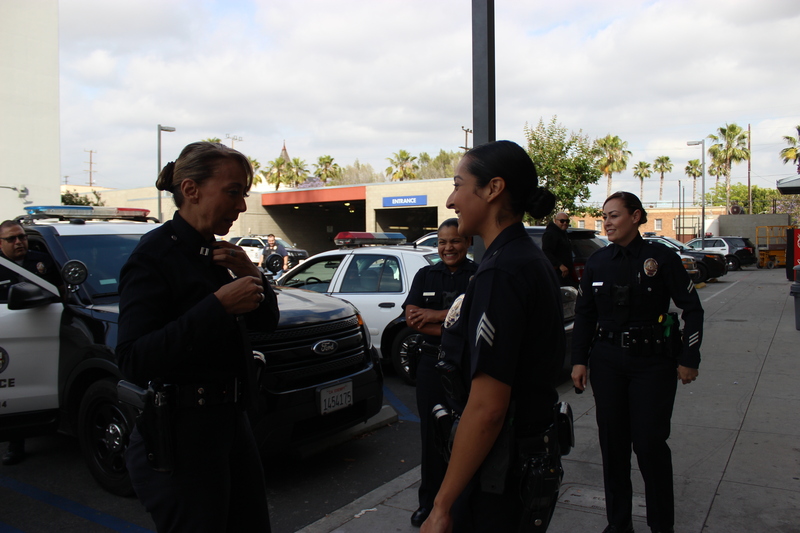 But by photographing a female police officer, a job many people think of as a “man’s job,” it shows that women are strong and can do anything that men can do. Las Fotos Project is currently showcasing the ‘A Woman’s Work’ exhibit in Los Angeles until August 5, 2017. For more information, click here.